It’s been a very long time since I created any new designs for my etsy shop! 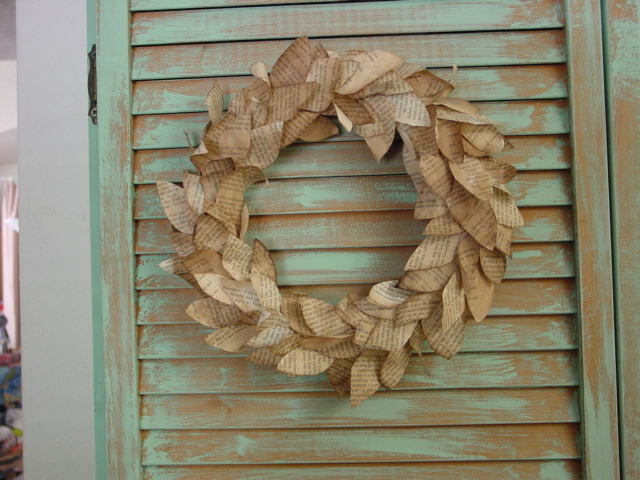 This ‘Home Sweet Home’ wreath actually came to be because of a special request from one of the gals at my Post Office. With as frequently as I am there shipping orders fro my etsy shop; they have asked ‘what I do’. I gave them business cards so they could see my signs in my etsy shop. One of the gals came across something on Pinterest that she wanted to replicate, and was asking for my advice on how to do so. 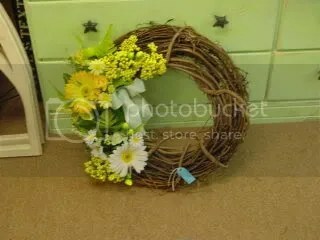 It was a wreath with ‘home sweet home’ in the middle (like this!) on some old wood slats. As I was telling her how to do it, it occurred to me that it would be much easier to SHOW her how to do it. I invited her to come over to my place where I can SHOW and tell her how to do it. 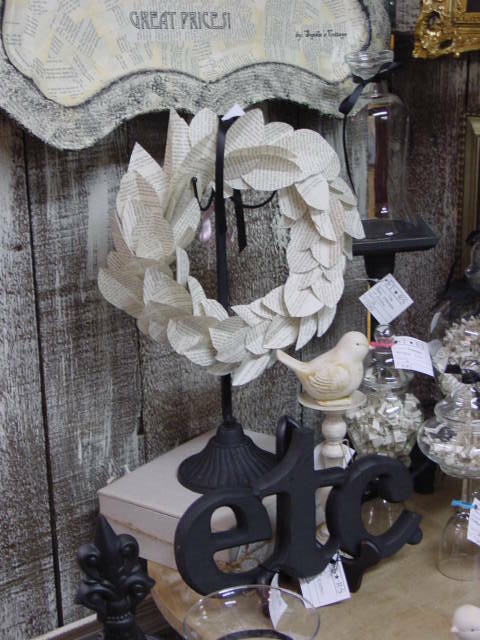 I already had a stencil very similar to the wreath she wanted, but I could NOT find a stencil anywhere that resembled what she wanted. Sooooooo, I turned to my ‘go to’ stencil gal, Amie from ScrappinAlong and had her custom make the ‘Home Sweet Home’ stencil to my specifications. By the way, through July 6th, she is offering a 30% discount on all stencil orders. If you are in need of any stencils, NOW is the time to buy them!! I had her size the ‘Home Sweet Home’ stencil to fit the center of a wreath stencil I already had, but of course it can be used alone too. 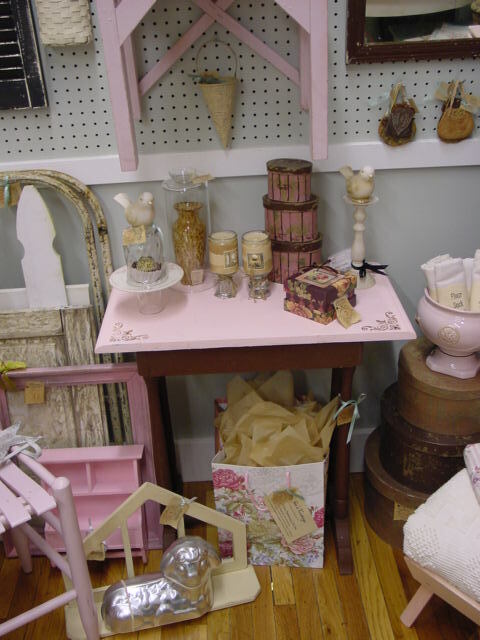 I was just using up whatever pre-painted scraps of wood I had on hand, and added the flourishes to fill the extra space. She also designed this sign per my request; to go with the crowns I have in my booth at Stars. The crown stencil for it is also available. Since I’m talking about custom stencils, I may as well tell you about this one that Amie designed for me too! It has a stencil of “… and God bless” then the entire alphabet in the same font so you can personalize the sign with any name. 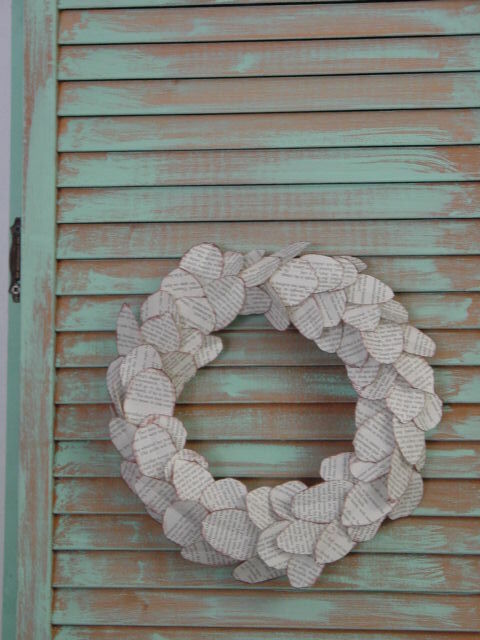 What do you think about the ROUND ‘Home Sweet Home’ wreath sign?? It was a bit of an afterthought . . . I’m kind of undecided on whether or not I like it round. I was also thinking about a rounded one with a more scalloped edge around the leaves?? Just trying to come up with something new! I’m starting to get a little bored with making the same signs over and over again! For the Portland area locals, Stars IS open this holiday weekend and on Monday, July 4th; 11am – 6pm. As always, my booth is crammed full of goodies!! For a limited time only, get FIVE of my all time best selling craft, gift and decorating project and idea e-books for LESS than half price in my etsy shop! Sold individually for a combined cost of $27.70. Get them NOW, for a special bundle price of just $10.00! 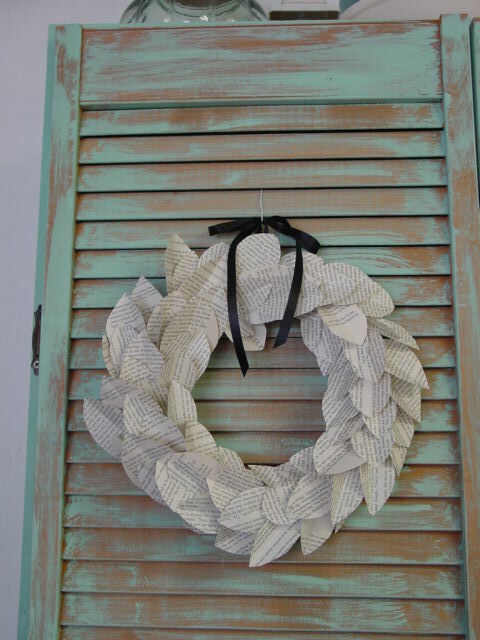 And you KNOW you should be getting started on your holiday crafting already! 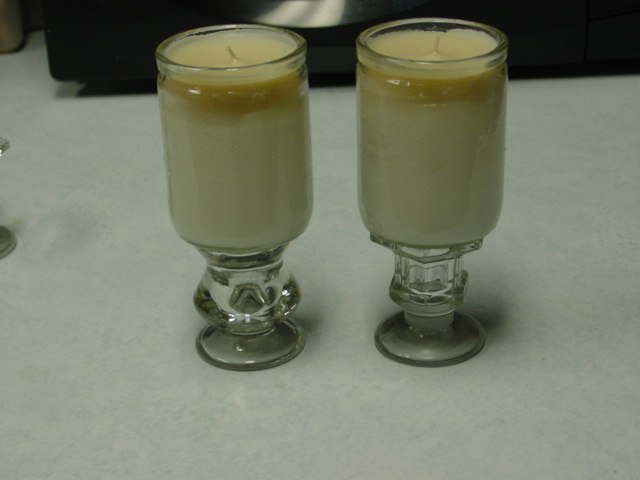 * Make your own grubby battery tea lights, pillar candles and tapers. * Make five different kinds of decorative faux snowballs. Sell the finished snowballs at craft shows, on your blog, in your etsy shop; or use them to decorate with or give as gifts. GREAT WINTER WEDDING DECOR!!! * How to rust your own jingle bells. 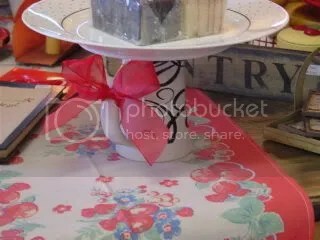 * How to tea stain paper and tags. * How to make grubby chenille and acrylic candy canes, and several decorating ideas with them. 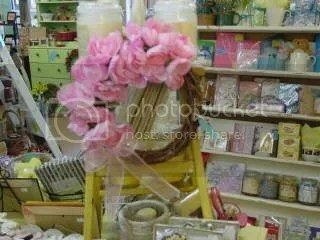 * Frugal and SUPER SIMPLE holiday decor and gift ideas under $5.00. I did mine with a ‘beach’ theme decor, but you could decorate them ANY way you like. And I tied a snippet of jute (then unraveled it!) around the bases of mine, but ribbon would work just fine too. Here’s what I started with. 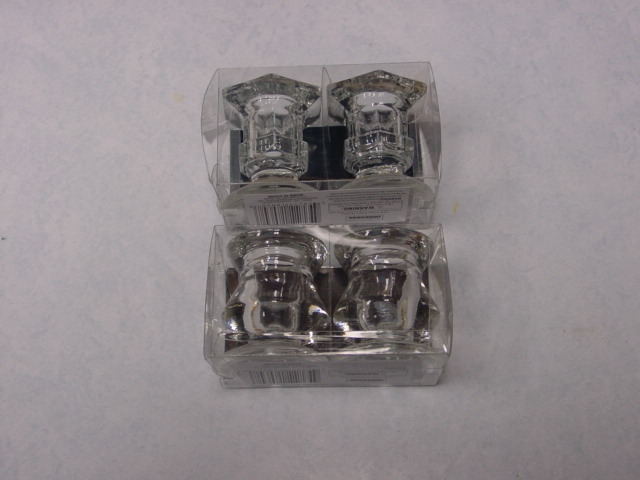 Little two packs of clear glass taper candle holders from Dollar Tree. 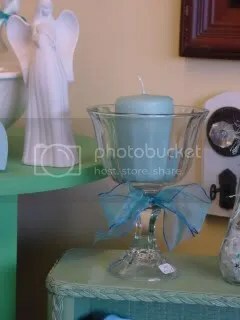 Also the glass ‘prayer candles’ you can buy almost anywhere; which I got at DT also, 2 for $1.00. 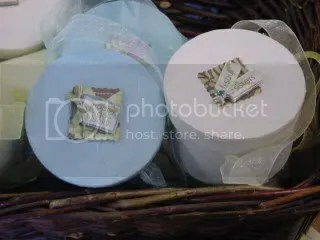 The prayer candles are typically filled with plain paraffin wax, and never all the way to the top and always with plenty of extra wick left at the top. 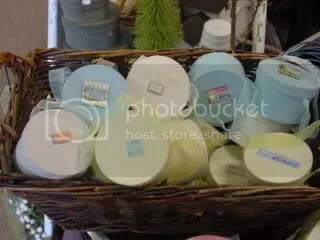 SO, to spruce them up, I ‘top them off’ with some yummy smelling wax. 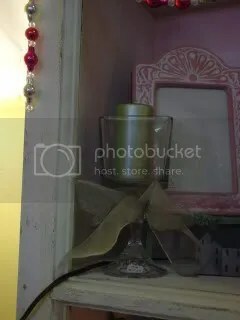 I just take my leftover jar candles (I always buy ‘baked goods scents’ in white/tan colors) plop them in a pan of boiling water for a short while, and pour the melted wax on top of my little prayer candle! After the wax has fully cooled and set, I add the embellishments. 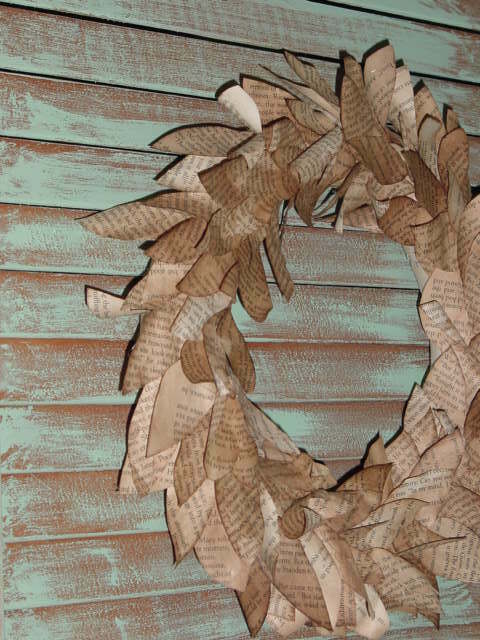 I used some left over strips of torn tea stained paper and shell embellishments. 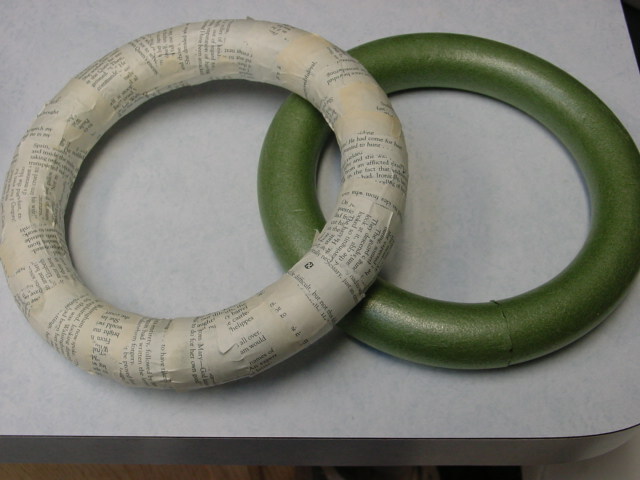 You could make these to coordinate with ANY theme or decor. I made six of them and took three to each mall space. 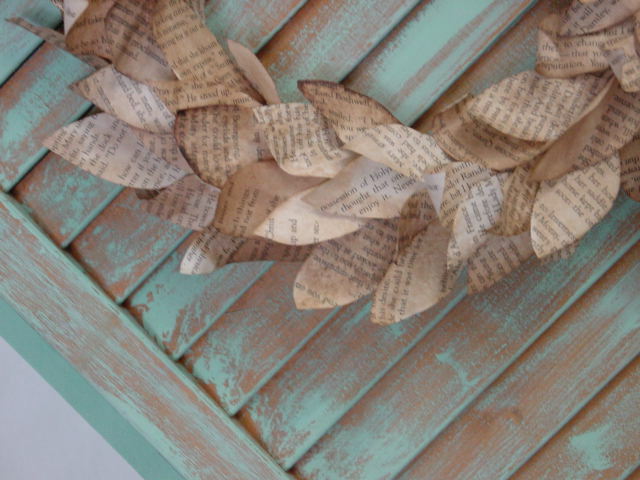 LOVE all the different stuff bloggers are doing with old book pages these days! 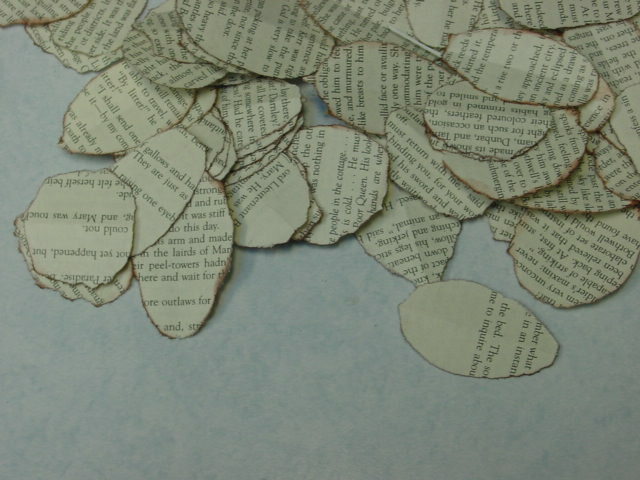 It saddens me a tad to rip old books apart, but the end results just make you love the written word on a whole new level! And I KNEW I had to make one. Quite simple really; quick and easy. 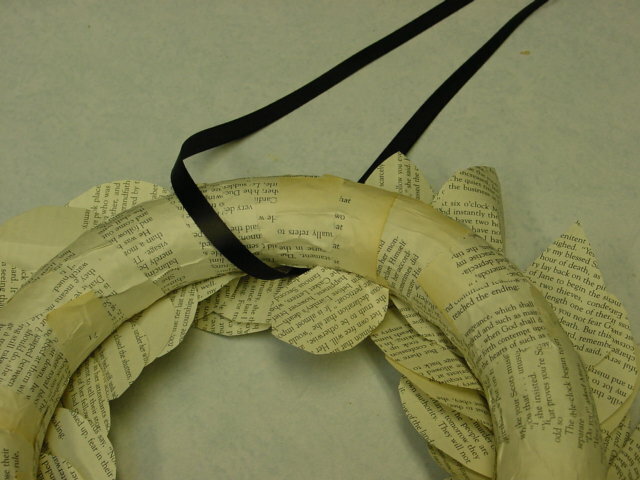 The most time consuming part was covering the foam wreath form with paper! Michael thought it needed ‘more color’. That it was too plain. So, I didn’t make any more for a looooooooooooooooooong time. Decided to ‘get back into it’ on Monday, while I was resting up from setting up at our new space. Cutting out leaves while watching TV was sedate enough to get rested, but productive enough to not feel like I’d wasted a day. 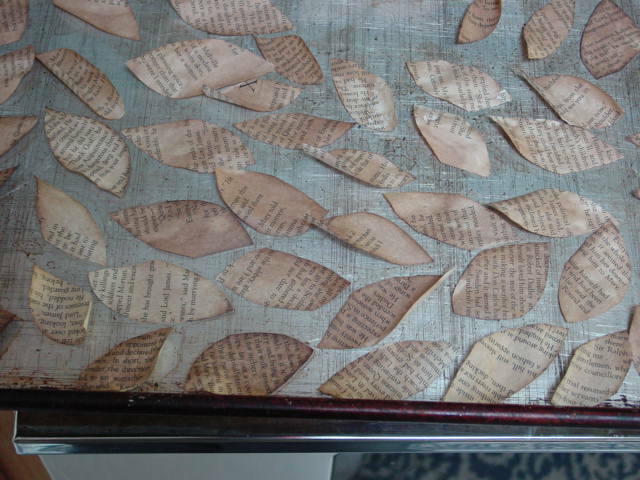 I came across a batch of leaves that I had TORN instead of cutting; and inked the edges. My old arthritic hands did not like tearing out all those little leaves very much! But this batch was done, so I worked with it. 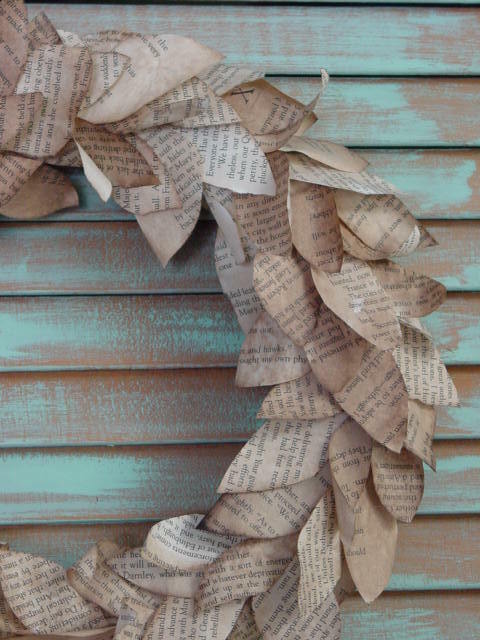 Glued strips of pages to my green foam wreath from Dollar Tree. Then hot glued the leaves to the wreath, one by one. It DOES have more color and texture than the plain cut leaves one, but it still was not quite right. And I actually liked the PLAIN one better than this one! 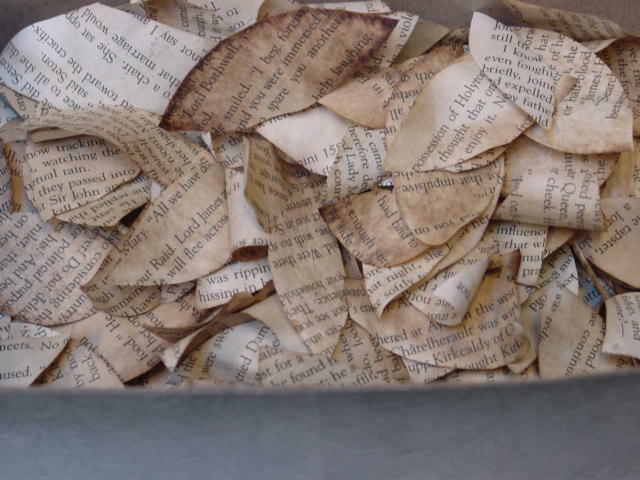 Was wishing I had some really OLD yellowed pages to work with! HEY!!! I can MAKE them look old with my grubby stain!!! So I cut out a bunch more leaves. Lightly spritzed my cookie sheet with some water so the paper leaves would ‘stick in place’. Then I sprayed the whole sheet with my grubby stain. (this is my own special recipe and does NOT use coffee or tea. 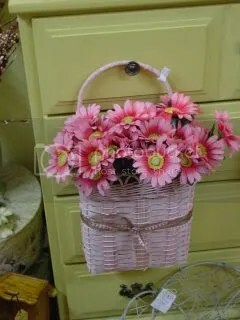 Can be made unscented or lightly scented.) Turn the oven on to it’s LOWEST setting. As soon as it reaches temp, TURN IT OFF!!! Put your pan of wet stained leaves into the warm oven. Don’t turn the oven back on!! There will be enough heat to dry up your ‘leaves’ in about 10-15 minutes. Look how beautifully they dry up. Various shades of brown, some with darker edges and some nicely curled; just like REAL leaves do when they dry up! 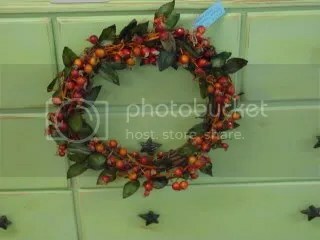 Then I just get out my trusty hot glue gun and glue them to my covered wreath form!! Love, love, love how these turned out!!! And I couldn’t stop making them!!! I didn’t even have to add any kind of ‘hanger’ to them. 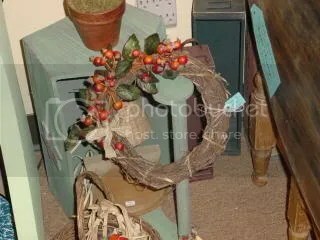 The wreath part sticks out enough on the back to plop onto a nail. 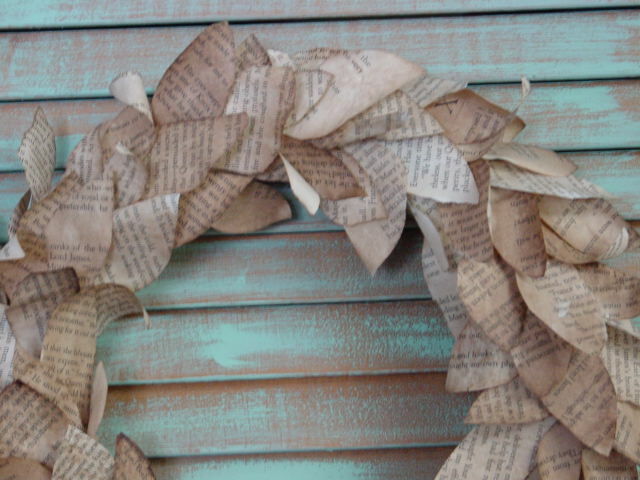 I’m going to ‘go out on a limb’ and predict here and now that tea stained book pages wreaths will be the next ‘big thing’! I wonder if I’m really the first one to think of this??? I know I haven’t seen it anywhere else before and came up with the idea all on my own. But that doesn’t mean lots of other creative folks haven’t come up with the very same idea! Will be interesting to see! 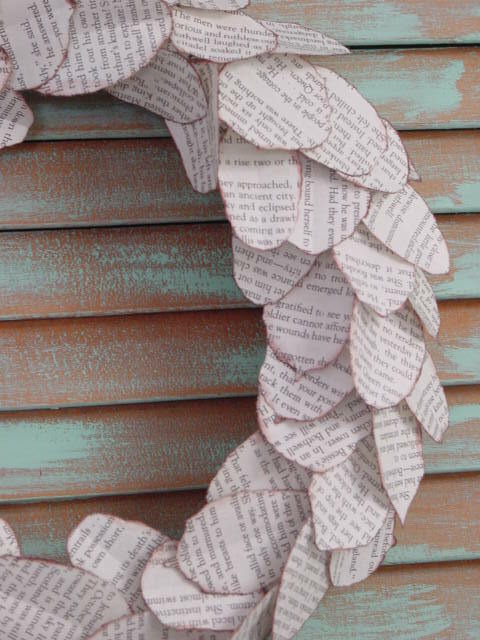 * The inked edges wreath has gone to Stars. The stained ones will be going to Camas. 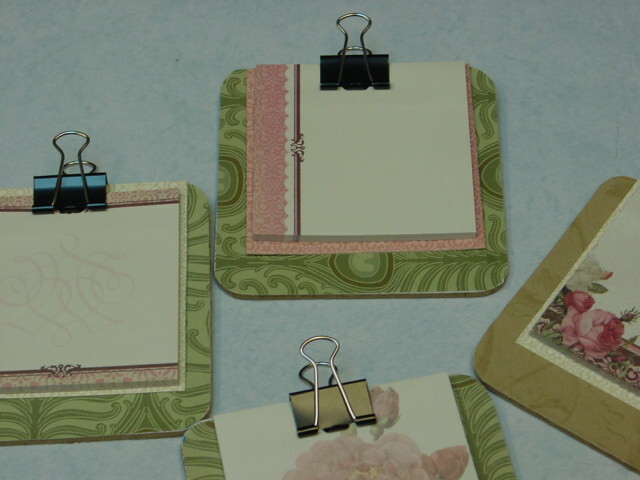 Inexpensive cork back coasters and binder clips from the dollar store. 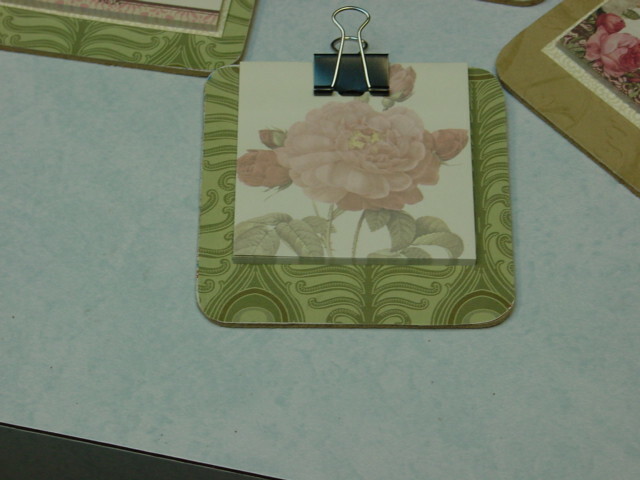 Cover the ‘design side’ of the coaster with some pretty scrapbook paper (I used tacky glue) Add a pad of sticky notes and a binder clip to keep them in place. Easy peasy! AND handy-dandy! 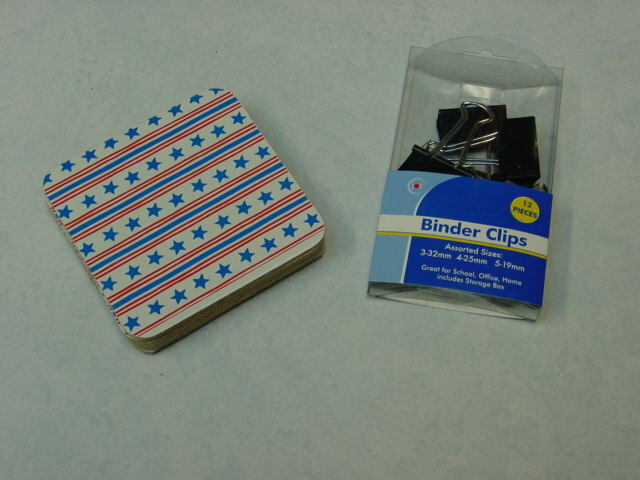 Now your sticky notes won’t pull off on their own or come apart and lose their stickiness! Easy little gift, stocking stuffer or party favor! Speaking of florals . . .
Here’s a link to several prefessional ‘how to’ videos. 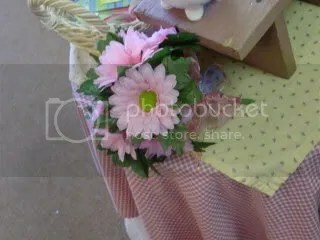 More often thatn not, THIS is how I end up using the florals I buy! Just tuck them into a basket! These embellishments are from “K & Co.”. 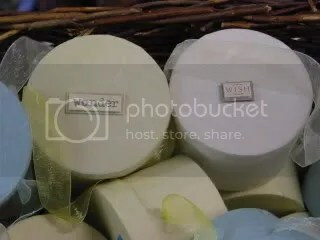 I sooooooooooooooooo wish I could stock their stuff in the store! Just don’t have the room for the minimum order quantities some of these bigger suppliers require. I just buy the ones I use at the craft store. Michael’s stores usually has this brand. And sometimes I see them at Target. 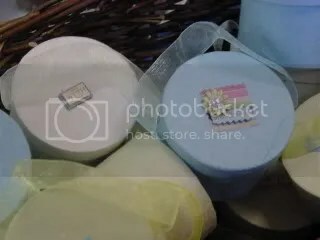 I only put one simple decoration on the lid of the box, (since I was doing so many of them to sell in the store, and wanted to keep the price down) but these would be cute to add ric rac or beaded trim to, to dress them up more. 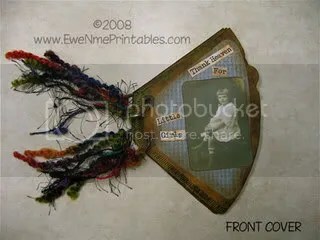 And the lids could be made into a more elaborate altered art collage. hmmmmmm. . . . not sure why this picture came out so dark??? 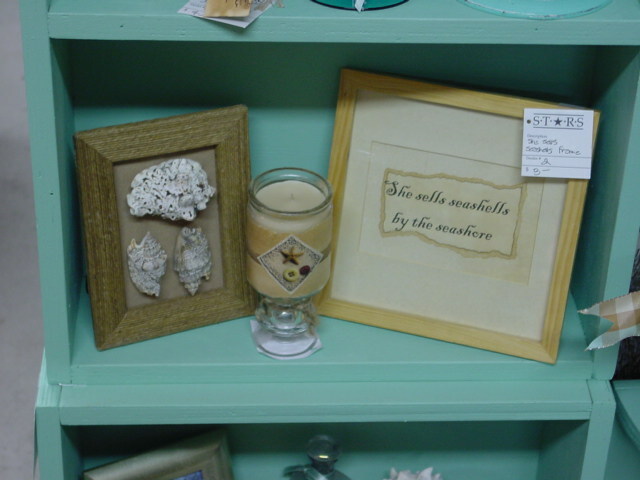 Same concept as the first one, but this one uses a SQUARE votive holder. 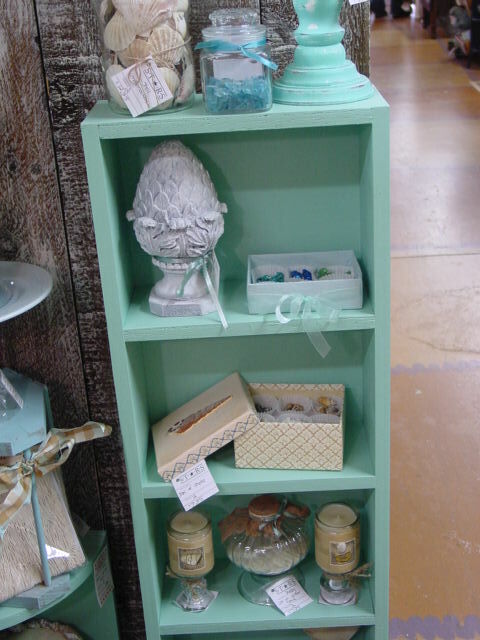 I just happened to find these taller, but votive diameter, green pearly candles to use. This one is just a ‘toss it together’ project. 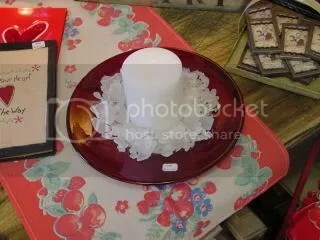 Clear red candle plate with a white candle and opaque white rocks scattered about. If you’re going to burn the candle and don’t want to get melted wax all over the rocks, you can use a glass votive holder and votive instead of the bigger pillar candle. I just love these old black and white dotted rim plates! 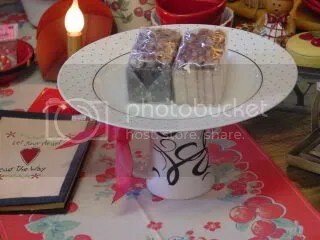 Wanted to make them into ‘nice and sturdy’ plate stands, so I used COFFEE MUGS for the base! And tied a pretty red bow around the handle!